Lucky me. Rodney Strong Vineyards reached out to me several months ago to contemplate hosting a wine dinner at my house to celebrate the Silver Anniversary of the Klein family owning the brand. The proposal included wine, cookbooks, food, and creating a 5 course dinner to be served simultaneously with dinners happening across the country at famous restaurants and other blogger houses. Heck yes, I’m in! And you should be too. The dinner will go live at 8 pm et this Saturday, September 20. We’ll be tweeting and all other things social-media-ing using the hashtag #RSV25. Personally, I will be hosting dinner for 10 (mind you, at the house we just moved into less than a month ago….) and have created my own menu to go along with the wines. I’m a little nervous for the soup and pasta courses as those are new recipes for me, but I’m a decently confident cook, so hopefully it will all work out! Make sure to tune in at 8 to see what everyone else came up with for their menus and to follow the live feed from across the country! Coincidentally, or perhaps not, I managed to pluck the same wine from two different vintages two nights in a row from my basement. Let’s just say the Pinot Noir called my name this winter and the two Rodney Strong ones that were lurking (that sounds ominous, I promise it’s not) in my cellar got caught up in a few day Pinot fury. Had I actually realized I had both of them down there, I would have done a side-by-side comparison. 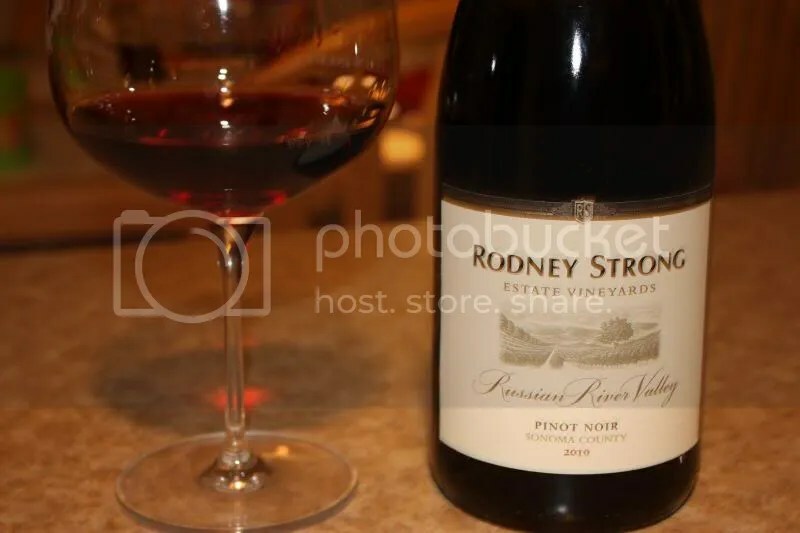 On night one we tried the 2010 Rodney Strong Russian River Valley Pinot Noir. More on night two’s wine, the 2012, another day. The 2010 had a real cork closure and likely retailed for about $25 originally. 1.) Overflowing on the nose with red, red fruit. 2.) Pair with a roaring fire and a cozy couch. 3.) Or with an herbed, roast chicken. That would work as well. 4.) Once again, Rodney Strong comes through with a solid offering for a great price point. On the nose I found raspberries, red cherries, spice, mint, herbs, and sage. (Yes, I’m well aware that sage and mint are herbs, but there were more than just those there, more of an overall herbal note.) In the mouth I got pomegranate, raspberries, spice, and other red fruit. Overall the wine has acidity to spare and a long finish. Disclaimer: I received this wine as a sample from Rodney Strong. Cold has settled into the DC area. Most days it’s been 13 degrees or under when I leave for work and the same when I return. Standing on an outside platform to catch the Metro is extremely unpleasant, and I come home chilled to the bone. On one of those nights, I bundled up for a trip to the basement and returned with the 2010 Rodney Strong Alexander Valley Cabernet Sauvignon. It seemed like an excellent choice to counteract the weather. 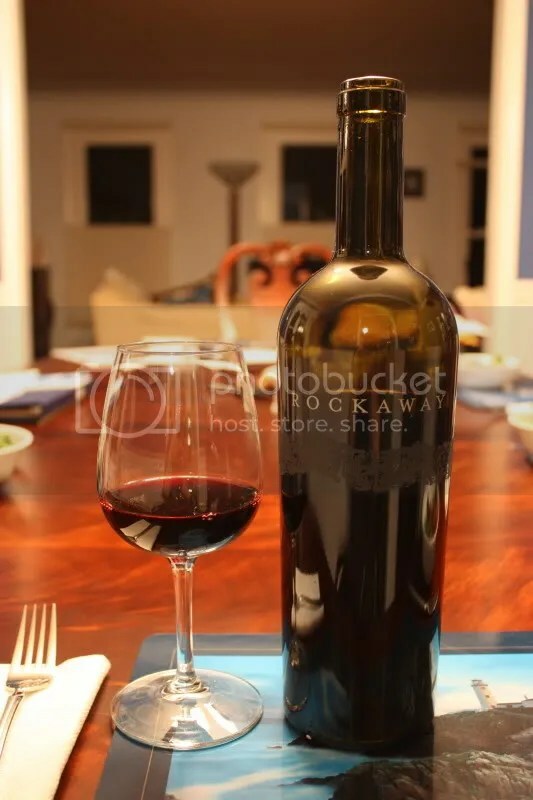 The wine has a real cork closure, clocks in at 14.5% alcohol by volume, and retails for $28. 1.) On the cold cold night, this wine warmed my soul. 2.) Rodney Strong is an incredibly consistent producer. 3.) This Cab offered lip-smacking black and blue fruit. 4.) I will get to Rodney Strong on my next Northern CA trip. Now to work on having that trip! On the nose, I found the Alexander Cab to be quite spicy, with pepper, herbs, a slight green note, black berries, and other blue fruit. In the mouth I got blueberry, brambly fruit, black fruit, spice, and pepper. The wine had nice tannins and mouth-filling fruit. As I am well into my second week of the furlough, I figured it was time for a treat in my wine-drinking queue. I can’t always look for the cheap and cheerful wines, it kills your will to taste lots of not so great wines in search of a single gem all the time. 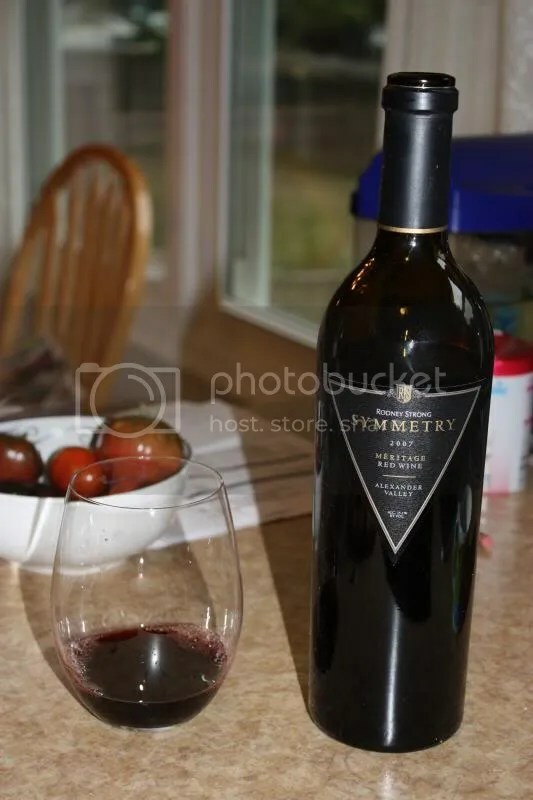 Instead, I bustled around in the basement looking for something opulent and sure to please and came back up with the 2007 Rodney Strong Symmetry. 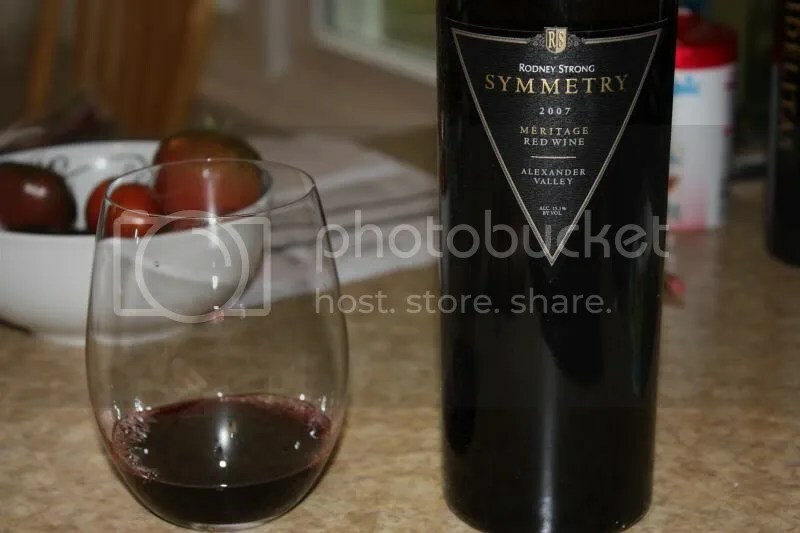 The Symmetry is a Meritage blend with a real cork closure, 15.1% alcohol by volume, and a retail price of about $50. 1.) Opulent is really the proper word for this wine: it’s luxurious and rich in all aspects. 2.) 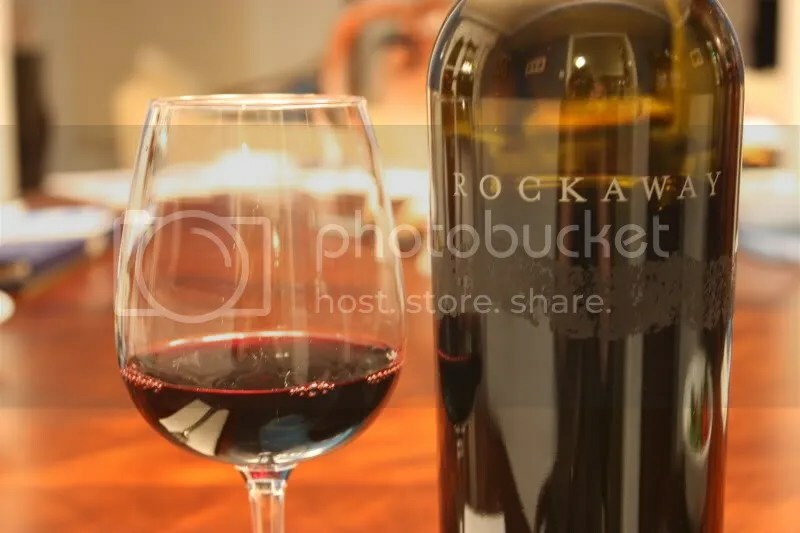 $50 may seem a little pricey, especially these days, but I think you get quite a bit for that money in this bottle of wine, it’s enticing and layered and tastes much more expensive. 3.) 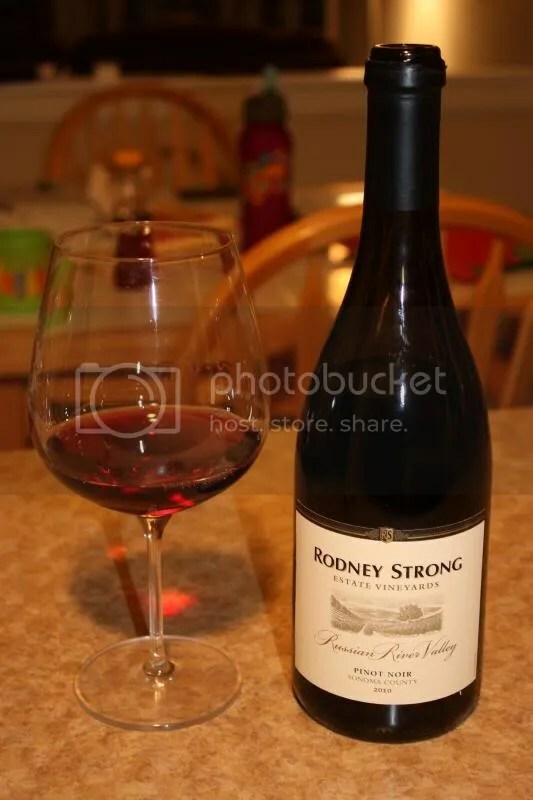 Rodney Strong is generally so consistent to me as a producer that I never hesitate to recommend their wines. 4.) I’m still not sure how I’ve never actually made it to the actual Rodney Strong facility in all these years. Right from the off you just look at this wine and observe how incredibly dark the juice appears. In fact, my notes say “dark dark dark.” In the mouth I found dark chocolate, dried cherries, mulberry, spice, black cherry, and currants. 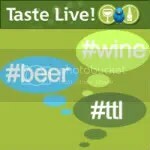 On the palate got herbs, spice, pepper, anise, coffee, blackberry, and black currants. The wine had a long finish with good tannins and needed some time in the glass to really open up. Do yourself a favor and run it through the decanter (or your Wine Soiree!) if you pop open this bottle soon. The fifth wine I’m speed dating with is the 2010 Rodney Strong Chalk Hill Chardonnay, a very familiar wine for me. 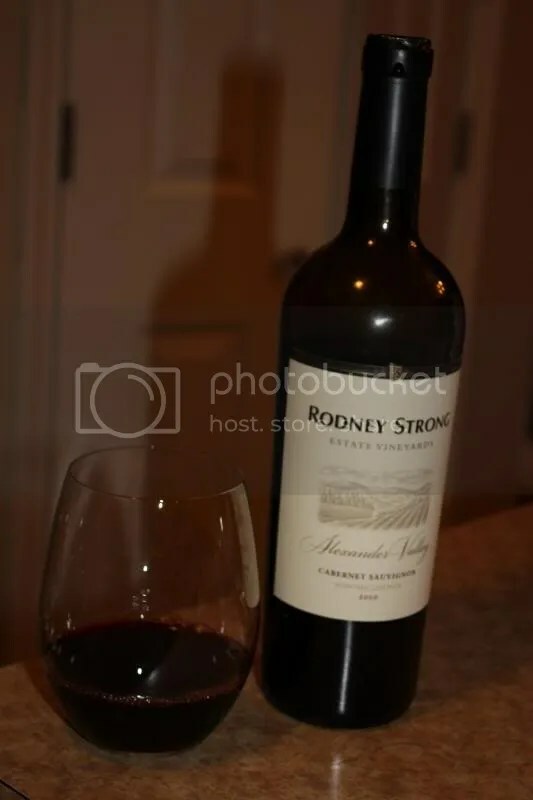 We drink a lot of wine from Rodney Strong at our house! The nose is toasted with some caramel undertones and yellow apple and pear. In the mouth it’s very smooth on the palate, with well rounded fruit, yellow apple, pear, and almost a hint of peach. At $20, the Rodney Strong Chalk Hill Chardonnay always offers a consistent value. Would be great to drink with grilled scallops. *Disclaimer: I received this wine as a sample from Rodney Strong. Although our weather is still oddly behaving as if it’s spring rather than winter, I’m getting in the big red wines while I still am in the winter mindset! We have had a few random colds days here and there, and that’s when we busted open the 2007 Rodney Strong Rockaway, a Cabernet Sauvignon. The Rockaway clocks in at 15.2% alcohol by volume, has a real cork closure, and retails fro $75. 1.) I served the wine with herb roasted chicken. I’d suggest something with a little more fat to stand up to the wine. 2.) The wine is a nose and mouthful of blackberry juicy goodness with a side of chocolate and espresso. 3.) With Valentine’s Day coming up, pair this wine with a steak and a chocolate torte for a great evening. 4.) The Rockaway comes in one hefty bottle. On the nose I found juicy blackberry, black currant, pepper, chocolate, espresso, and a little note of campfire. In the mouth I got black cherry, blackberry, chocolate, black currant, earth, and more black fruit. A dark fruit wine with lots of juicy notes complemented by earth, spice, and chocolate, serve it with your next steak dinner. Another Pinot. But Not Chilean. 1.) Think Thanksgiving. This is a crowd-pleaser of a wine. 2.) 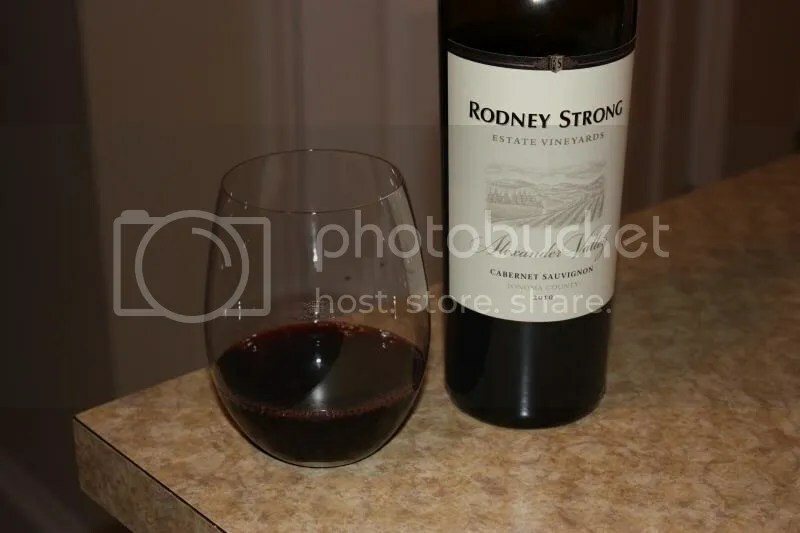 Rodney Strong consistently impresses with the value for the price point. 3.) I loved the nose on the Pinot Noir. 4.) I would think this wine would retail for quite a bit more than it does. On the nose I got smoke, campfire, caramel, earth, herbs, strawberry, and raspberry. In the mouth I found tart fruit, raspberry, cherry, strawberry, flowers, earth, and a bit of the smoke from the nose. The wine had great structure and acidity and displayed the red fruit and earthiness I’ve come to love from the Russian River Valley. Filed under: California, Pinot Noir, Red, Rodney Strong, Wine |	Comments Off on Another Pinot. But Not Chilean.